Classes require a parent volunteer. Volunteers are offered 1/2 off tuition for 1 student of the parent that assists in a class. To sign up as an assistant in the class please contact Jessica Lynch at jclynchy@gmail.com. Please have your child bring a nut free snack. Parents must send in a green sheet (note to office) that the student will be staying for the specific enrichment prior to the start of the program. Please note any pertinent information and designated pickups during sign-up. Note: For both Save the Bay and Kids Fitness please use both the Sign-up Genius link provided to sign up and the corresponding “Pay Now” buttons to pay via PayPal. Alternate payment may be made via check made out to MPTG and sent with your child. Registration ends April 19, 2019. This exciting new class mixes things up a bit by combining stop motion animation with a green screen by Do Ink! Students will delve into character creation, animation planning through storyboarding, and stop-motion through pixilation. Then they will transport themselves to fantastical places with production methods and the use of a Green Screen. Teamwork and using your imagination are the only requirements! If you aren’t sure what a green screen is and how it works, check out YouTube videos of green screen by Do Ink. This class covers all the basics of theater arts and then some! Using the building blocks of acting and theater work- PLUS, a focus on vocal performance and movement. Beginners and those who have experience will benefit from this 6 week total engagement of Theater Arts and Performance. A mini showcase for friends and family highlights this class at the conclusion. To register and pay for Core Organization Programs go to thinkfeelcreate.coursestorm.com. Note: there is a $2.50 registration fee. 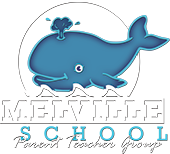 Click on the link to Melville Elementary School and chose the class you would like to register your child for. What animals live in the water in Narragansett Bay? Let us show you! Save The Bay will bring real, live animals to your class for you to touch, hold and learn all about. Do you like reading stories? We also love to bring along fun bay animal books to read aloud. It’s always exciting to end the day with a craft, such as making a puffer fish out of a paper bag or a lobster hat. If this all sounds like fun, then join us for Save The Bay’s afterschool! then return to pay using the button below. This class is designed to benefit both the young athlete as well as kids that just love to be active and have fun! The focus of the program is to build speed, agility, quickness, coordination, power, balance and core strength. All of this will be done through running, fun drills, exercises and games. Examples include: agility ladders and hurdles, relay races and exercises like bear crawls and balloon burpees. *Payment for both Save the Bay and Kids Fitness can be sent in via check made out to MPTG or via PayPal using the “Pay Now” buttons above.